Comment: One-Day Premium delivery available. Complete with sample questions, mock exam papers and examples of children's errors, Maths for Mums and Dads will challenge and reassure in equal measure. Note: This is a revised edition published by Square Peg 2013. Start reading Maths for Mums and Dads on your Kindle in under a minute. "This delightful little book is perfect for parents who want to understand the different methods to do arithmetic their children are learning -- and why they are being taught that way. The authors' easy going style and humor should help ease the path for parents for whom mathematics brings feelings of dread." --Keith Devlin, Stanford University, author of The Math Gene and Mathematics Education for a New Era: Video Games as a Medium for Learning, and NPR's "Math Guy". 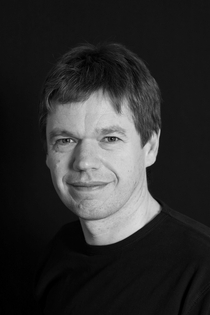 Mike Askew is Distinguished Professor of Mathematics Education, University of the Witwatersrand, Johannesburg. 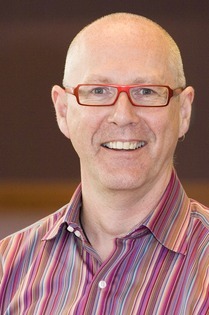 Until recently he was Professor of Primary Education at Monash University, Melbourne and previously Professor of Mathematics Education at King's College, University of London. A former primary school teacher, he now researches, speaks and writes on teaching and learning primary mathematics. For the Academic year 2006/07 he was Visiting Distinguished Scholar at City College, City University New York. He is also a skilled magician. Maths for Mums and Dads by Rob Eastaway and Mike Askew (along with its companion volume—More Maths for Mums and Dads: The Teenage Years) is a great asset to have around the house. It is perfect for mums and dads and their children who will also benefit from this book. What the authors do in this book is to make mathematics understandable. They do this by not just focusing on the procedures used but also, and more importantly, on developing an understanding of the subject. It is a book that I would fully recommend. I hope you find my review helpful. Brought on recommendation from the school. It's a good book which explains how to do maths the 'modern' way which is totally different to how I learnt. The only criticism I would give it, is it assumes that the person reading doesn't like maths (a whole section is dedicated to the fear of overcoming maths) this is not the case with me, I love maths but needed extra help with this new way of learning. I have been shown the 'new' way before but could never understand why this method is better, as to me it seems so much more long winded and complicated compared to the 'old' way. This book explains why and now I am converted, I can see why children are taught this way. 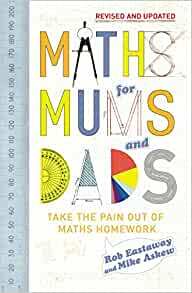 This is a brilliant book to help mums and dads get to grips with how maths and numeracy are currently taught in most schools. The authors give clear explanations of what are new concepts to many parents and have a range of exercises and examples to help you understand them. There are also some fun games to try out with your children. Only reason for not giving it 5 stars is that it is not easy to navigate the Kindle version, as there are not always links to the answers for some of the "test yourself" questions and it's hard to refer back to earlier sections when required. I am buying this book in paper format as a result, as it is otherwise a very useful aid for my work as an adult education tutor. I bought this book to give me some ideas about current basic maths practice as I a primary school governor interested in trying to get parents involved in helping their children with their preparation for their Key stage 2 SATS. I found it useful and fairly easy to read and understand. I would recommend it to parents wanting to give their children some valuable help and bring their own basic maths up to date. My maths was reasonably good at school but the thought of it still makes me panic now. This book has been an absolute god send. It has given me confidence in my ability and has explained clearly the methods used now by most primary schools. Personally I have found the new methods to be so much more logical and suddenly long multiplication has made sense. Thank you Rob Eastaway you are an absolute star. If maths is becoming more of a struggle through attitude rather than ability (we know they've got it in them somewhere) then this is a way of getting them to do maths in a fun way without feeling they're trudging through a set of straight forward (and boring) maths exercises. It's got some fun exercises and methods which make the process more fun for the budding pupil. Excellent book. Does what it says on the tin in a way that doesn't make you feel dumb for needing to read it! I found this really useful as it explains how maths is taught now and how it differs from what I did as a child. Also has helpful suggestions on ways to tech fun little maths games.